The good news, is that I am completely on track in my album, I've just been behind on posting them. 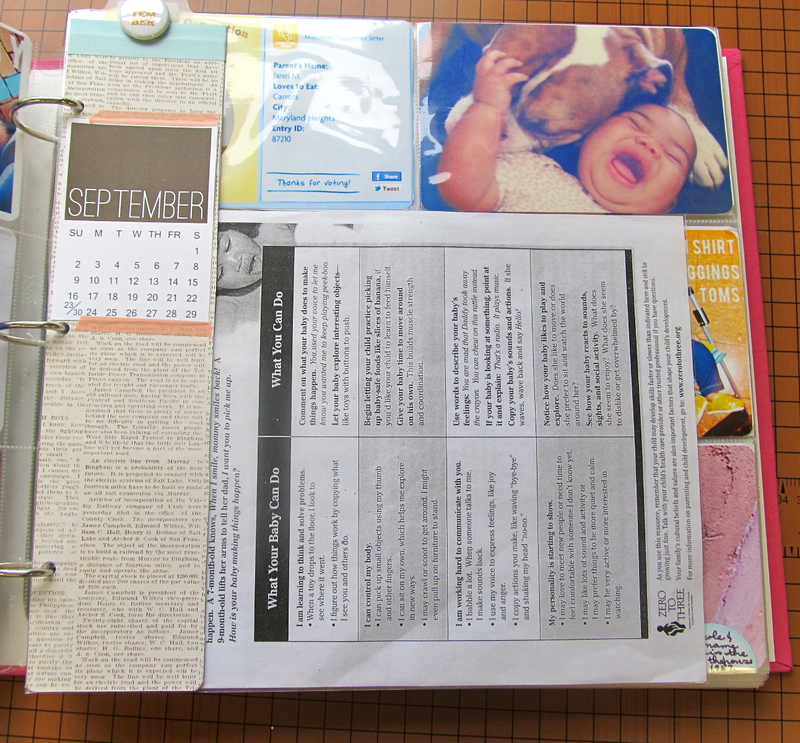 Check back the rest of this week for Project Life catch up posts!! 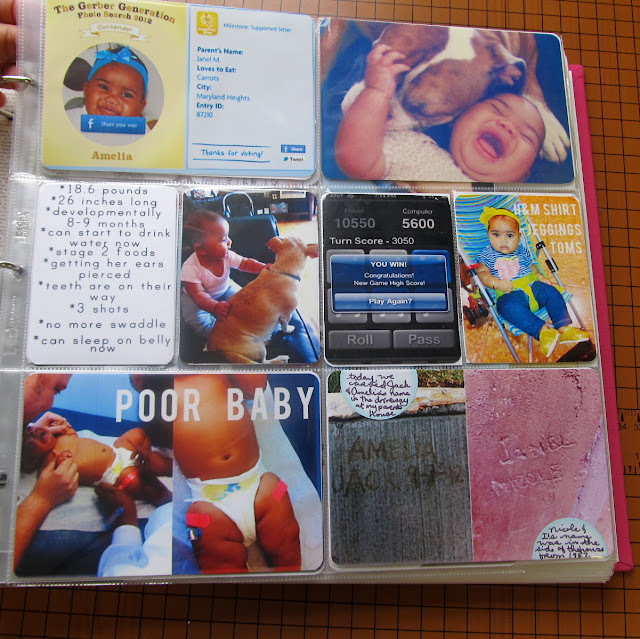 Week 36 was the first spread in my new album. I've split the year up into three books and I am now on the last book for 2012 (crazy!). Most of my pages these days are filled with photos from my phone. What did we do before camera phones?? This is why I love this project. We had a family date day to the annual Greek Festival for chicken gyros. Delicious!! Target released their Warhol inspired soup cans. I received an awesome pen pal package from Hawaii and Amelia turned into a Hipster! I love layering my alphabet stickers on top of the pocket pages. 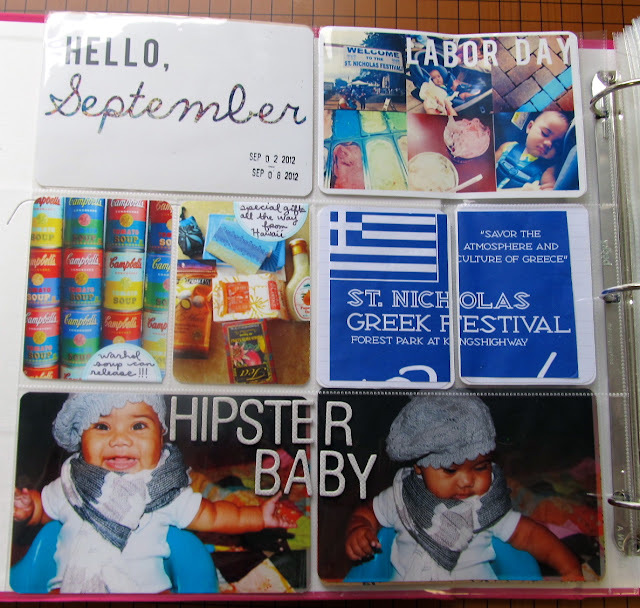 This week also welcomed the first day of September so I have my monthly divider added as an insert along with our "What Your Baby Can Do Now" sheet from the pediatrician. Amelia had her 6 month check-up (lots of shots), played with puppies, entered the Gerber Generation contest, and carved her name into my parent's new driveway (ok I carved it). Lovely week, lovely project, lovely memories. 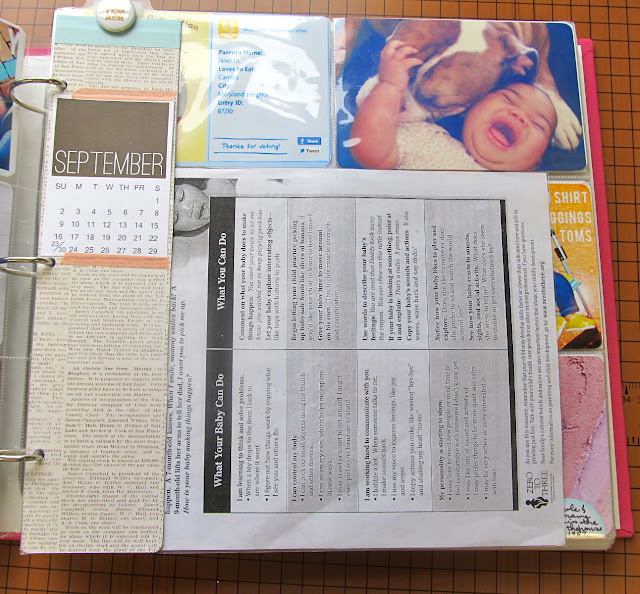 How did you do the technique on the top insert- Hello September?